TRH Brickwork Limited - Builder, Drain/Sewer Clearance based in Hove, East Sussex. 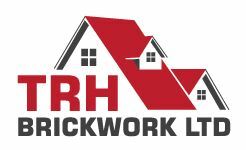 TRH Brickwork Ltd is a building company based in Hove but working all over the Sussex area. From small projects to large extensions, new builds to garden walls, we cover all aspects of building work. All jobs are project managed by Tommy who sees his team in from start to finish, with over 18 years’ experience. … and much more. Our customer services are of the highest standard along with our workmanship. Our prices are competitive and you can always trust in a reliable and friendly service.